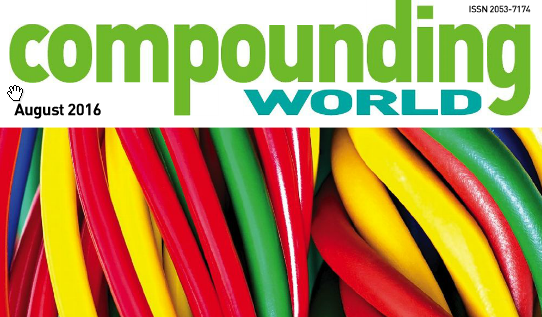 The below article about Hybrid’s POSS fillers, written by Mark Holmes, is featured in the August edition of Compounding World magazine. You can access the original article in its entirety by clicking here. To access the Compounding World Web site, click here. Hybrid Plastics says that POSS – Polyhedral Oligomeric Silsesquioxane – is a nanostructure product that bridges the gap between ceramic and organic materials. POSS can improve product performance without sacrificing mechanical properties and is used in a range of industries. The company adds that POSS technology is derived from a continually evolving class of compounds closely related to silicones through both composition and a shared system of nomenclature. POSS chemical technology has two specific features. Firstly, a chemical composition that is a hybrid, intermediate [RSiO1.5] between that of silica [SiO2] and silicone [R2SiO]. Secondly, POSS molecules are physically large with respect to polymer dimensions and nearly equivalent in size to most polymer segments and coils.